Here at Natural Alternative Remedy, we believe that knowledge is power – particularly when it comes to your health and well-being. 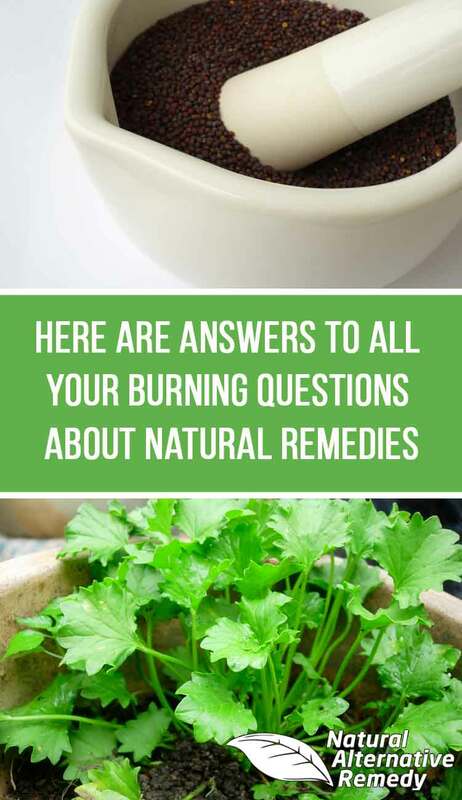 If you’re new to natural remedies or simply new to our site, here are some thoughtful answers to FAQs about natural remedies that will not only provide helpful information to empower you, but also to give you a sense of who we are and the philosophy that drives our content. For more information about us, be sure to check out our About Us page. 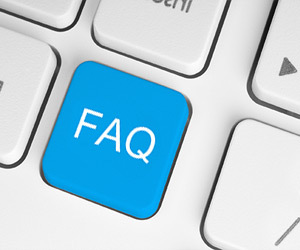 As always, if you ever have additional questions or simply want to drop us a line, you can use our Contact Us form. We love hearing from readers! Are Natural Remedies Better than Prescription Drugs? Better is a subjective term. Are natural remedies better for your overall health? Are they better for your particular health concerns? We believe that at times, yes, they may be the better choice. Other times, perhaps not. For individuals who prefer to live as naturally healthy lives as possible, natural remedies can be the best first line of defense. For those suffering from serious or even merely bothersome side effects from more conventional medicines, natural remedies can be a safe alternative worth trying. Then there are those times when we are certainly grateful for the advances in medical science and we seek more conventional methods perhaps in conjunction with natural ones. One reality we like to keep in mind when weighing the options between prescription drugs and natural remedies, is what accounts for FDA approval and scientific evidence of effectiveness. Though the process for FDA approval of a new prescription drug in the United States is certainly stringent and strict, it does not necessarily define a “better” treatment. In fact, as much as we would like to see more regulation in the dietary supplement industry (to find out why, check out this article to start), we acknowledge that there are less than savory as well as political aspects to FDA approval within the pharmaceutical industry. We also know that when it comes to proving effectiveness for prescription drugs, a the pharmaceutical company must do is prove that its product is statistically more effective than a placebo. In some cases, that may mean only marginally better than nothing at all. It is our opinion that while there are relatively few scientific studies on the plethora of natural remedies available, personal experience and the many years of historical observation should not be discounted. But that is not to say that we do not support the study of natural remedies. In fact, we encourage it! Next in our consideration of prescription drugs versus natural remedies are the risk factors. Above we addressed concerns of the safety of natural remedies, and while there are certainly always risks to be aware of, our experience is that most quality natural remedies come with fewer serious side effects than most prescription drugs. Though the pros can certainly outweigh the cons when it comes to choosing a pharmaceutical treatment option, many come with a long list of possible side effects that at times can be as serious as the condition the drug is meant to treat. So we must ask ourselves, does this health concern require the use of prescription drugs or might it be effectively managed or even treated with natural remedies? Ultimately, it is the responsibility of you and your trusted physician to determine whether natural remedies or prescription medications are the better alternative. Just remember that it need not be an either-or discussion. The best therapy you can seek is a holistic one, which can include conventional medicine, traditional medicine, or both. Not every treatment works for everyone, which is true of both pharmaceuticals and natural remedies. This, in part, explains why physicians have many brands, formulas, and treatment options to choose from when prescribing medication or treatment plan for a particular ailment or set of symptoms. It also explains why we choose to provide many natural remedy options for every health concern or symptom. Many times, physicians will prescribe one treatment only to follow up later to observe how the treatment is working. We take the same approach to using natural remedies. We recommend that our readers do their research, consider their “complete picture,” and choose the best natural remedy for them. Then wait. See how the treatment is working. In general, natural remedies tend to require some time. If the remedy is not providing results for you, then try another. Holistic healthcare does require some patience and trial and error. That is not to say that there aren’t ways to increase the chances that a natural remedy will be effective. Choosing high-quality, natural ingredients and working with a trusted professional can increase effectiveness as well as safety. When considering the effectiveness of natural remedies, we would come up short if we did not mention one of the main arguments of the skeptics and nonbelievers. There are many who now follow a philosophy they call science-based medicine, which is realized in different levels of extreme. These beliefs may range from trust only in the scientific methods for proving effectiveness of natural remedies and medicines to a complete disregard for natural remedies or what they may consider “quack-medicine.” Obviously we fall on the side of trust in the healing power of natural remedies. But that is not to say that there aren’t so-called natural remedies that don’t work or lack scientific study. We do our best to provide balanced information about natural remedies linking to relevant scientific studies when possible and providing personal experience or empirical evidence (our own or that of trusted colleagues and readers) when not. You can read more about how we source information in our About Us page. This is also as good a time as any to refer you to our Disclaimer page. As always, we provide our natural remedy content for informational purposes only as it is not meant to be construed as medical advice. That said, there are always risks you take when employing any remedy – natural or otherwise – particularly when a remedy is not used or practiced safely. By safely, we generally mean informed and educated which requires both self-study and research as well as support from a trusted professional. Consider this example: while yoga has been proven to be extremely beneficial to your mental and physical health, repetitive poor alignment or neglecting to listen to your body in yoga practice can lead to injury. Learning more about each asana and working with an experienced yoga instructor can reduce that risk. The same goes for internal and external remedies, only finding a physician who shares your medical philosophies may be more difficult than finding a good yoga studio. There are also other more personal safety considerations to be made when using natural remedies. For instance, if you’re pregnant or nursing, have certain food allergies, or are already taking other supplements or medications, you will want to consider these unique aspects of your life, body, and health before using a natural remedy. We call this considering the whole picture, and we detail some of our best advice for doing so in our article 8 Must-Read Tips Before Buying Natural Supplements. Lastly, we always advise our readers to be aware and informed of the ingredients they are using in their natural remedies. While growing your own fresh organic herbs for herbal remedies would be ideal, but we are certainly proponents of convenience when it comes to using natural remedies meaning sometimes (or rather most of the time) we rely on the convenience of buying a product or ingredient. But purchasing a product can come at a price beyond the tag. There are some concerns with the supplement industry, particularly in the United States, that should inform how you make decisions about the products you choose to purchase. We did quite a bit of research to write our lengthy article What You Need to Know About Dietary Supplements, which details current regulations of the industry and how they impact the products that hit the shelves. Simply put, go for quality ingredients, always read the ingredient label, question anything you don’t recognize or falls under a vague category like “natural flavors” or “fragrance,” and look into the manufacturer for more information if need be. Being a conscientious and informed will always mitigate your risk, and in our opinion, natural remedies can be safer alternatives. We, along with much of the naturally-minded community, believe that optimum health and proper function of the body occurs when all systems are in harmony and balance. We see the systems of the body, mind, and spirit as intrinsically connected. And we are certainly not alone. For instance, even in the mainstream medical world the belief in stress as a factor in health and wellness has come to the forefront of many conversations and studies. Based on this belief in connectedness, we argue that it is important to consider not only the symptoms, but the contextual clues and root causes of an ailment in order to adopt a holistic approach to caring for your body and mind. Many natural remedies are meant to do just that as they are geared toward helping your body remedy the cause and promote healing, not just alleviate the symptoms (while potentially causing new ones). Most importantly, we believe that mindfully choosing natural remedies promotes an overall better approach to managing health – one that is holistic in nature and requires listening to your body, educating yourself, and taking an active role in your own wellbeing. But even when choosing natural remedies is mainly about alleviating symptoms like when you’ve had one piece of pie too many and suffer a stomachache or you’re fighting a cold and just want relief from your sore throat, we still prefer seeking natural remedies as our first lines of defense. As long as they are used properly, natural remedies can safely and naturally create holistic balance within the body to alleviate ailments, support systemic health, and help prevent future disease. Much of the time they accomplish these goals with fewer risks and side effects than their pharmaceutical counterparts, which is particularly important when considering the treatment of chronic concerns. While not all of the above mean precisely the same thing, nor do they represent all of the different health practices and philosophies, they all share at least one aspect in common: the use – even if not exclusive use – of natural remedies. Within the scope of this website, the term natural remedy refers to natural substances or practices used to treat, manage, or prevent illness, aid in the healing of ailments, and perhaps most importantly, promote wellness. These remedies can include foods, vitamins, botanicals, herbs, spices, and even physical practices like meditation, yoga, chiropractic, and acupuncture (to name a few). Because many of us in the Western world have been raised in a culture in which allopathic medicine (or modern, conventional medicine) is the established standard, we forget that only a couple of decades ago, homeopathic, herbal, and other organic treatments were generally accessible and freely employed even by traditional physicians. In fact, it was that very consideration of the healing powers of certain natural remedies that has led to the discovery and development of many of today’s modern pharmaceuticals. Today, many natural and home remedies are employed in what some medical professionals call “complementary” or “integrative” medicine, which is exactly how we like to position them. We view natural remedies not as replacements or fundamentally better alternatives to conventional medicine, but as complements and perhaps, the first lines of defense.